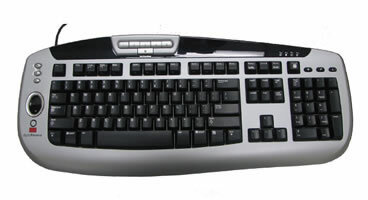 All the benefits of fingerprint recognition integrated into a sleek, ergonomic keyboard. The U.are.U Fingerprint Keyboard is a Windows-compatible 104-key keyboard with a built-in U.are.U Fingerprint Reader. It is designed for use with all DigitalPersona software: DigitalPersona Pro for Active Directory and our Developer SDKs. The integrated keyboard has all of the accuracy, durability and convenience of a DigitalPersona U.are.U Fingerprint Reader, yet eliminates the need for desktop users to attach two USB devices such as a keyboard and fingerprint reader. DigitalPersona products utilize optical fingerprint technology for superior image quality and product reliability. The combination of a U.are.U Fingerprint Reader with the DigitalPersona IDentity Engine produces an unmatched ability to recognize even the most difficult fingerprints.